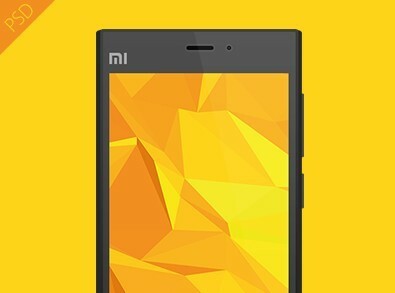 A flat psd mockup for Xiaomi 3. Xiaomi 3 is one of the most popular cell phone based on android in China. Flat Xiaomi 3 Cell Phone PSD Mockup for you to download and use in your next web design or graphic design project, created by joochen.